The annual Second Life World Goth Fair 2015 opened its gates to all the darklings out there at the weekend. A beautifully decorated sim (once again thanks to Lokii Violet for her amazing work on that!) presents some brand new designs from some of the darkest and most gothic creators in SL. Fallen Gods Inc & Faida have collaborated on this beautiful gown called Faida. This is a special 'Silver' edition of the dress and there are 3 styles included. It's available in 4 different colours and I've (typically) gone for the black version. The version I'm wearing has a mesh/lace overskirt which has some of the prettiest detailing I've seen. The Fair actually opened a few days ago (yes I'm terribly late with this!) but for those of you who have already taken a look around, I have news for you! 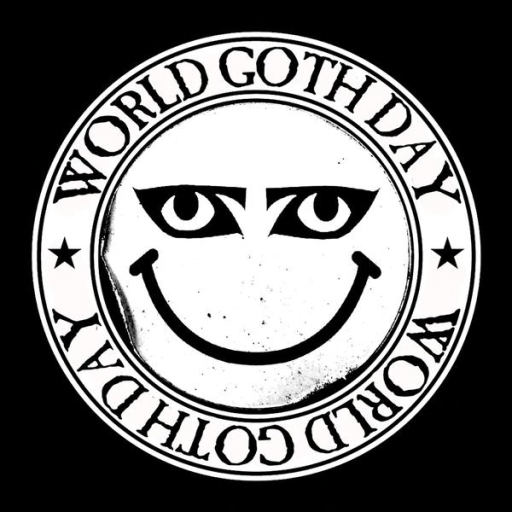 Many of the designers are introducing more new items to their booths for World Goth Day this Friday so it's worth another look around for sure! We're half way through the current round of The Secret Affair, so if you were waiting for lag to die down it's safe to head over there now. Entwined has released a pretty new long hair called called Kiara and in the black I thought was perfect for today's gothic styling! Alegria has also created some fabulous jewellery. The collar and cuffs I'm wearing are detailed in dragon scales making it very unique looking. It comes in several different colour so easy to match to various outfits/looks. You may notice I'm wearing my Lelutka mesh head again and it really is because I'm in love with the fantasy skin applier line by Glam Affair at We Love Roleplay, this time trying out the 'Silver' version of Megan. I was also pleased to discover many make up appliers for the Lelutka heads at the current Cosmetics Fair. The eye make up I'm wearing is just one of three on offer from Zibska. Each pack contains appliers for Lelutka & TMP, as well as tattoo layers for standard avatars. There are many colours in each pack so will keep you sorted no matter whether you are going goth or something a lot brighter! Zibska also has this pretty necklace available at the current On9 event. It comes with earrings too and includes a HUD to be able to change the colours of the beads and chains. 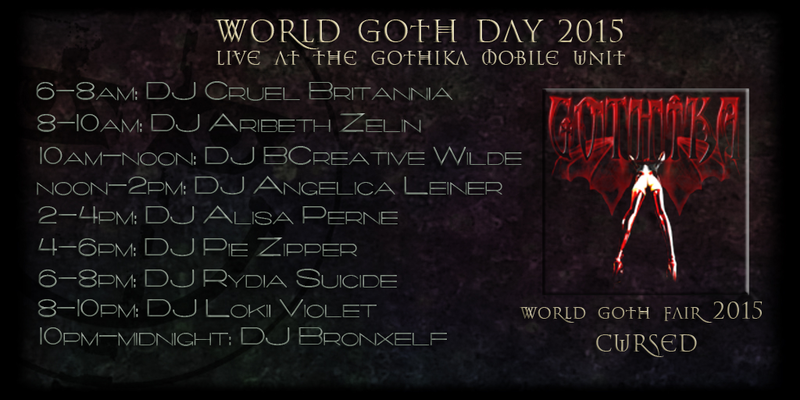 Here comes the shameless promotion section - I will be DJing tomorrow (22/05) for World Goth Day among some other awesome DJs at the Club Gothika mobile unit which is situated at the Fair. There will be hours upon hours of fabulous music ranging from Goth to Industrial to EBM and to Synthpop. If you enjoy some synthpop & darkwave or if you just fancy an in-world meetup, I'll be streaming live 2-4pm SLT! The great thing is you can have fun and cam shop at the same time, how much better does it get?